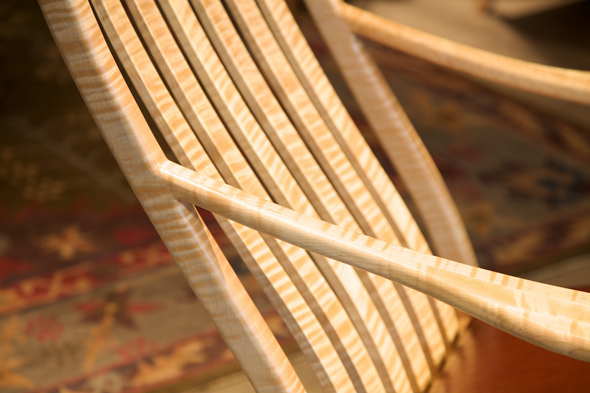 Curly maple is also knowns as tiger maple, fiddleback maple, or flame maple. It is not a special species of maple, but rather it refers to the special grain in the wood. The ripples in the grain create a three dimensional effect, though it is not completely clear what causes this phenomenon. 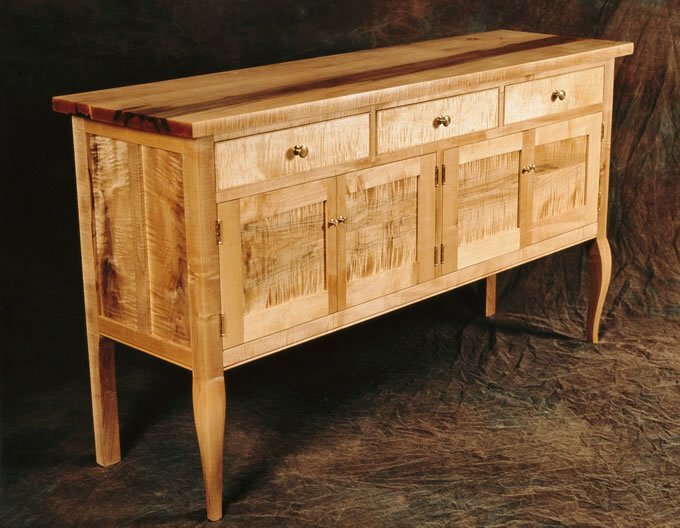 In general, higher grades of curly maple tend to be more expensive than standard maple. When curly maple is roasted, it accentuates the curly effects in the wood, making your cutting board or block, or serving board even more beautiful.